(FNEL/Luxembourg) – Yes, even in Luxembourg, during a cold winter nights the temperature can be as low as -15° centigrade. Reason enough for eight members of the Unité Pilote (Venture Scouts aged 15 to 18 years) of the Lions Bleus Bonnevoie Scout Group in Luxembourg to plan and run a very special project in the framework of their activities to obtain the highest distinction for Venture Scouts in their association (FNEL). The idea to collect and donate sleeping bags was well received and so, the ventures started to put their plan into practice. 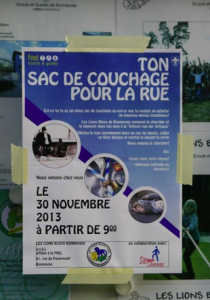 Designing flyers and poster (in our two languages), creating posts on social media channels, talking to younger and older Scout Group members, neighbours, friends and people in the streets, organising a vehicle to help collect the sleeping bags, setting up the collection point, prepare tea, coffee and biscuits for collection day, and many more details needed to be talked through and organised. The surprise was great when the eight tired Venture Scouts from Lions Bleus Bonnevoie and their helpers counted the sleeping bags after a very long day: forty (40) bags! 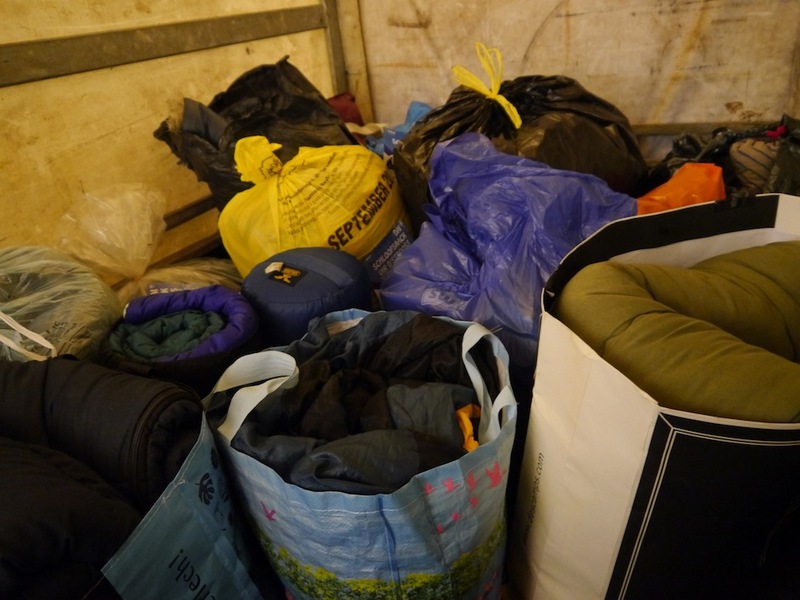 Thanks to the generosity of their friends, families and neighbours the Venture Scouts were able to provide “Stëmm vun der Strooss” with a large number of sleeping bags. And many homeless in Bonnevoie in Luxembourg will receive a very special Christmas gift this year: a sleeping bag bringing some warmth to help survive the cold nights of winter.